As we mentioned in our blog post about monitoring your car wash, monitoring your wash is a key element in keeping your wash quality high. 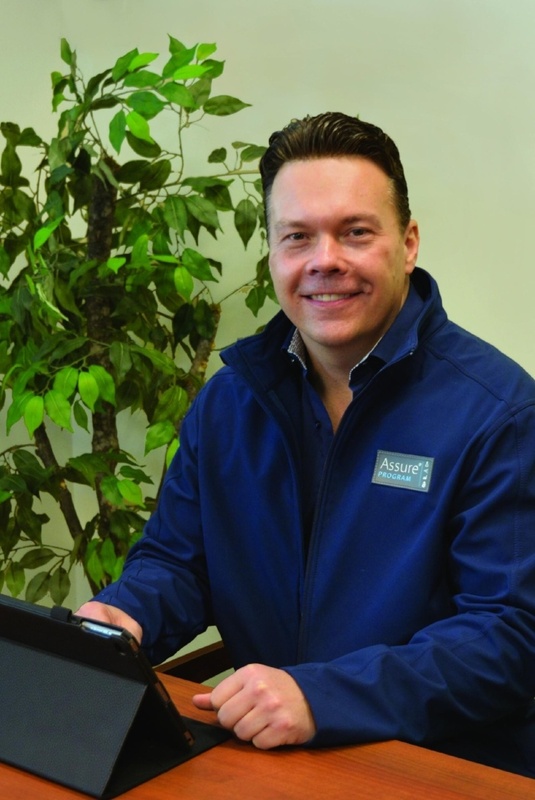 We sat down with expert Product Manager Scott Hamilton to discuss why it's important to monitor your wash, as well as how to do it: 1. Why is it important to monitor your car wash? Scott: There are a multitude of reasons to monitor your car wash, but I believe one of the best reasons is for quality assurance purposes. Building customer loyalty and creating positive word of mouth drives additional growth for your business. 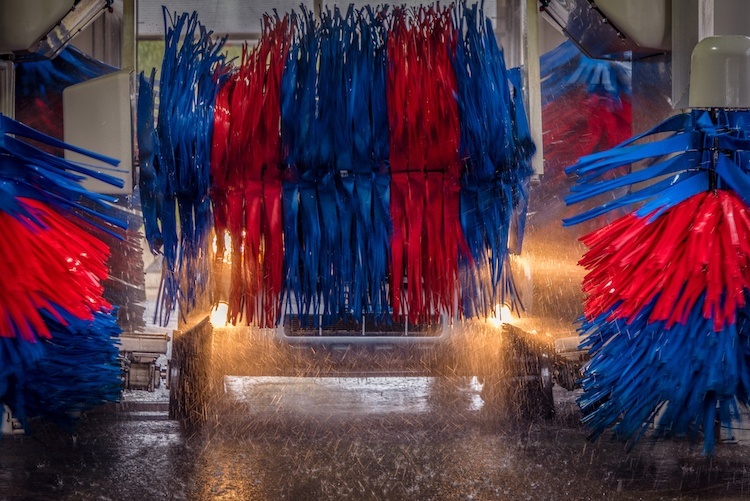 A great way to help ensure those objectives are met is to make sure the vehicles coming out of your car wash are clean, dry, shiny, and protected. 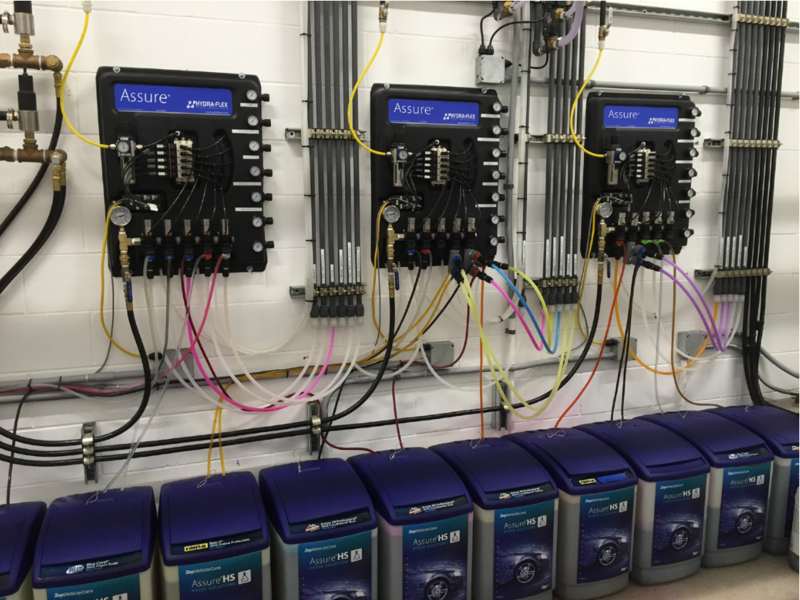 Consistently monitoring your car wash is a critical part in achieving those objectives. There are also additional benefits to monitoring your wash such as understanding your chemical use, knowing what your costs are (per chemical and per package), and identifying other statistical trends that can help your business maximize its performance. 2. What does "car wash analytics" mean? Scott: Car wash analytics is about collecting different performance metrics to help assist an owner/operator or manager to make smart and timely decisions about their car wash operation. If you don't already have one , there are a number of great reasons to implement a water reclamation program. Some states or counties have regulations that require the use of a reclaim system, and they are a great way to save a lot of money on your water and sewer regardless of where you are. Reclaim systems also make your wash eco-friendly, which can help boost both the perceived quality and value of your wash. Low quality reclaim water can create issues for washes that are currently using or considering reclaim systems. When your reclaim system is optimized, it produces high quality water, so the quality of your wash will not be affected. However, if there is an issue with your reclaim system, there will be some noticeable wash quality issues. 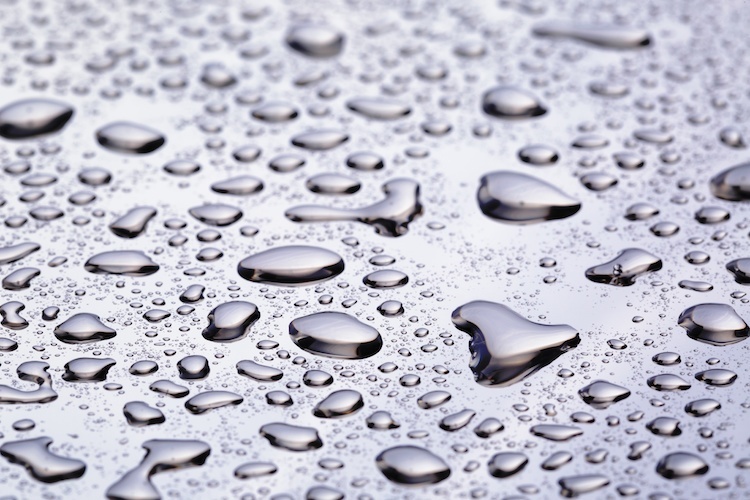 Here are some of the most common reclaim water quality issues, and tips to resolve them: 1. Slime This is the black, goo-like substance that can coat the inside of your wash. Slime can be caused by multiple things, including non-reclaim compatible products, reclaim water pH balance, or incorrect products going into reclaim. Slime can be of organic or inorganic origin, or both. You can solve this problem by working with a qualified vehicle care specialist. As our previous posts about chemistry quality, water quality, and dispensing quality have mentioned, there are a lot of things that can decrease the quality of your wash – and it's not always obvious when things go wrong. Consistent monitoring is required to make sure that your customers are always getting what they paid for. Train all of your employees on what to look for so that issues are identified promptly and employees feel they have an impact. Expect the same from your service providers. Keep records of routine maintenance and schedule maintenance reminders based on the manufacturer's recommendations. Now that we've covered your chemistry quality and your water quality, let's talk about how to check that your dispensing is working properly. Like chemistry and water, the quality of your dispensing system is equally important in delivering a superior wash. How do I choose a system? When it comes to dispensing systems, there are four different types: 1. Injector: This is when the product is pulled by a vacuum suction into a water stream traveling through a small device. 2. Injection pump (electric or water drive): This is when product is injected into a water stream from a pump. 3. Hydrominders: This is when your product is premixed into a "sump" chamber or tank, then "delivered" via pump (most commonly air-operated). 4. Pressurized direct injection: This system works similarly to a regular injector; however, it uses the Venturi effect to mix the chemical and the water and uses a "booster pump" to regulate water pressure consistently. The accuracy of your dispensing system will have a large effect on the quality of your wash. When considering dispensing accuracy, focus on dilution ratio as well as the consistency of the dosing. Pressurized direct injection is most likely to provide the most precise dilution ratios and consistent mixed solution volume. Water pressure can fluctuate, often during your high-volume wash periods; but a pressurized direct injection dispensing system will help control those fluctuations. We know that having quality chemistry is a key factor in providing a quality wash, but your chemistry will not perform well if you are operating with low quality water. Since water quality affects both the quality of your wash and the quality of your customer experience, it's important to perform frequent water quality checks to ensure that you're running your wash at the highest level of quality possible. Here are some common issues that indicate a potential water quality issue: 1. Non-performing chemical If your chemistry does not seem to be doing its job, your water quality might be the issue. Check the hardness to see if your water is affecting your chemical. If it is, make sure that your water treatment system is working properly, and discuss your options with your vehicle care specialist. 2. Spotting If cars are exiting your wash with spots left from water deposits, it is time to do something about your water quality. A great way to avoid water spotting is to implement reverse-osmosis, also known as spot-free water, in your wash. This will help you control the quality of your water by removing total dissolved solids (TDS) from your final rinse water. 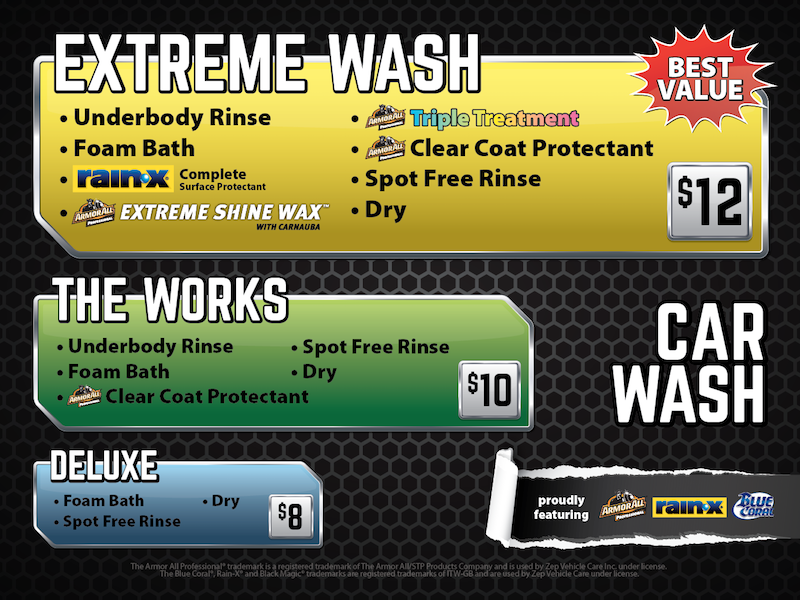 A "quality" wash means that you are delivering a car that is clean, dry, shiny, and protected. When examining the quality of your wash, thre are three big things to keep in mind. The quality of your chemistry, your water, and your dispensing will all influence the level of quality that you can deliver to your customers. The first step to identifying any quality issues within your wash is to examine your chemistry. The right type of chemistry depends on the specific needs of your wash. Things such as local weather, precipitation types and frequency, water quality, soil makeup, and wash equipment can all affect the effectiveness of any specific chemical application or conditioner in your wash. Here are some distinct signs that a change of chemistry may be in order: 1. Molding and Ridges With vehicles becoming more sleek in design, this is producing areas that are becoming very difficult to clean – areas like rocker panels, hood scoops, and trim areas. If your friction is not properly cleaning these areas, there have been numerous innovations in chemistry that can help address these issues. 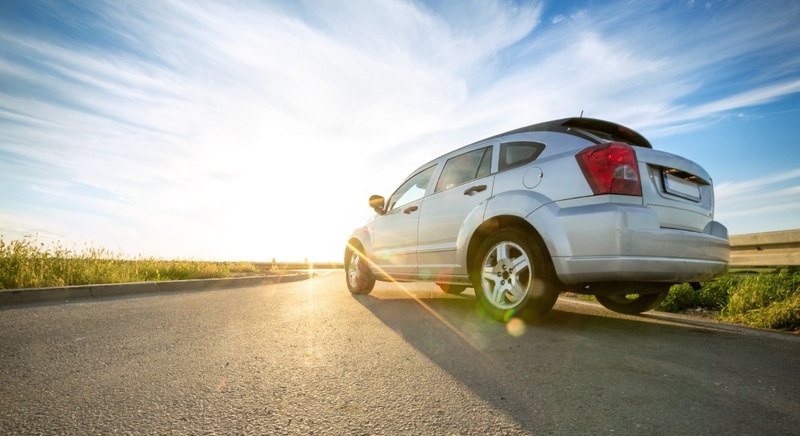 The best way to identify potential solutions is to consult your vehicle care specialist. 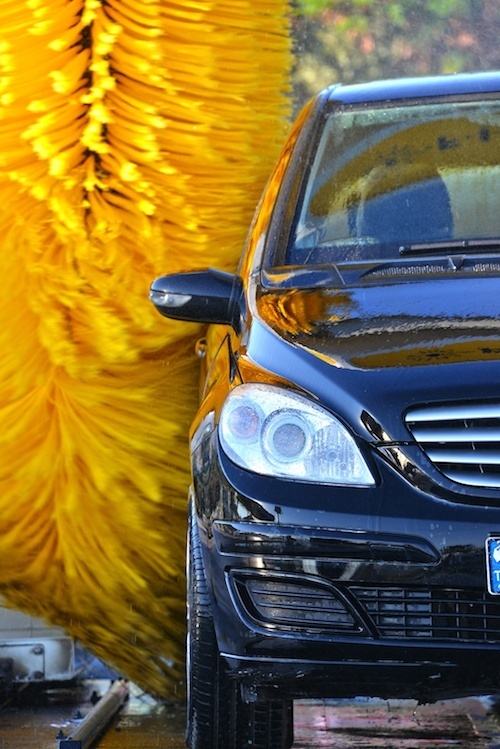 What is Car Wash Quality Assurance? The key to running a successful car wash is consistently delivering a quality wash. A quality car wash means that you are delivering cars that are clean, dry, shiny, and protected. According to the ICA 2016 Consumer Study, “consumers ranked cleanliness, price, convenience, dryness, and speed as significantly more important aspects of a car wash than they did just two years ago” (www.carwash.org). Consistently delivering a quality wash will boost your long-term business, which means that you will drive more revenue and more profit. There are many things that can cause quality issues in your wash, and it isn’t always easy to identify the source when issues do arise. 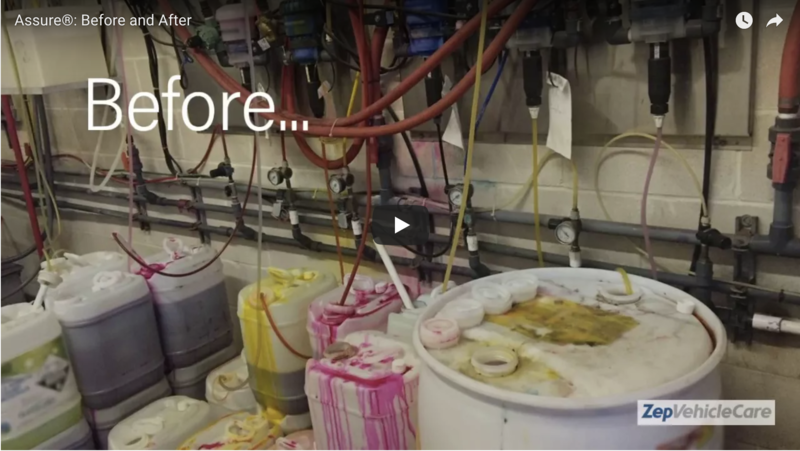 The longer a wash quality issue goes unaddressed, the more damaging it can be to your brand – so, it is important to perform frequent quality checks to make sure you are consistently delivering a quality wash. In order to check the quality of your wash, examine these three areas: Chemistry The right type of chemistry depends on the specific needs of your wash. It is important to make sure that you’re using the proper chemistry for your specific climate, soils, water, and wash equipment. To ensure you are using quality chemistry, find a product specialist who knows and understands both your climate, soils, water, and equipment in your wash.
Marketing has a huge influence on the success of your wash, and it is important to keep your marketing fresh and exciting. However, coming up with new marketing ideas isn't easy. 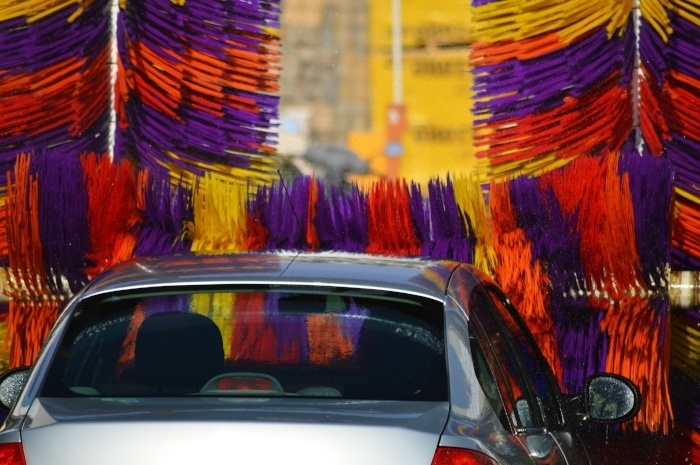 So, we've done the heavy lifting for you – any of these car wash marketing ideas will help you boost your revenue: 1. Set up a Facebook page for your wash. It's more important than ever for car washes to have websites – a website will help your potential customers learn about your wash. However, designing a full website can take a lot of time and require a financial investment. If you'd rather set something up quickly, Facebook is a great stand-in for an official website. Get started on your page with this quick tutorial on setting up a Facebook for your wash. 2. Eliminate an option from your menu. Do you know? Four or fewer packages on a menu will provide better revenue results. More than four packages can become confusing and cause anxiety with customers. Generally, the average ticket for three packages will net better results than four, typically by 5% or more. If you want to eliminate a package from your current menu, chose the middle package with the lowest take rate. You can learn more about package elimination in our e-book Boost Your Revenue Today: The Essential Guide to Making More Money at Your Wash. It's officially fall, which means that trade show season has arrived. Attending a car wash trade show is an investment, and you'll want to make sure that you get the most out of your experience. 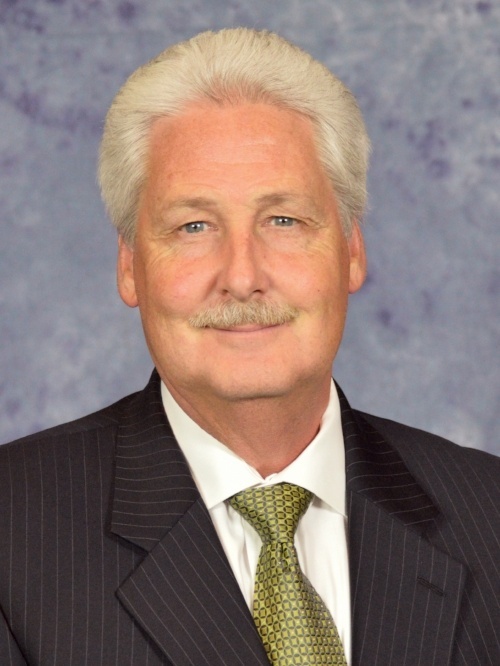 Check out these trade show tips from three of our experts here at Zep Vehicle Care: FROM STUART HULSEY, TECHNICAL SERVICES MANAGER: WHAT WOULD YOU SAY TO SOMEONE ATTENDING A CAR WASH SHOW FOR THE FIRST TIME? For first time attendees I would recommend that they visit all the vendors with an open mind and collect any pertinent materials to take home and study. This is, after all, the best place to gather as much information from multiple vendors in one place. WHAT CAN YOU GET FROM VISITING A TRADE SHOW THAT YOU CAN’T GET ANYWHERE ELSE? When visiting a car wash trade show you’ll see all the different equipment and chemical manufacturers under one roof at the same time. This gives you the best opportunity to look closely at what is being offered, compare the differences and ask questions all at the same time. This is a unique opportunity to have full access to the best and most knowledgeable people in the industry all under one roof.